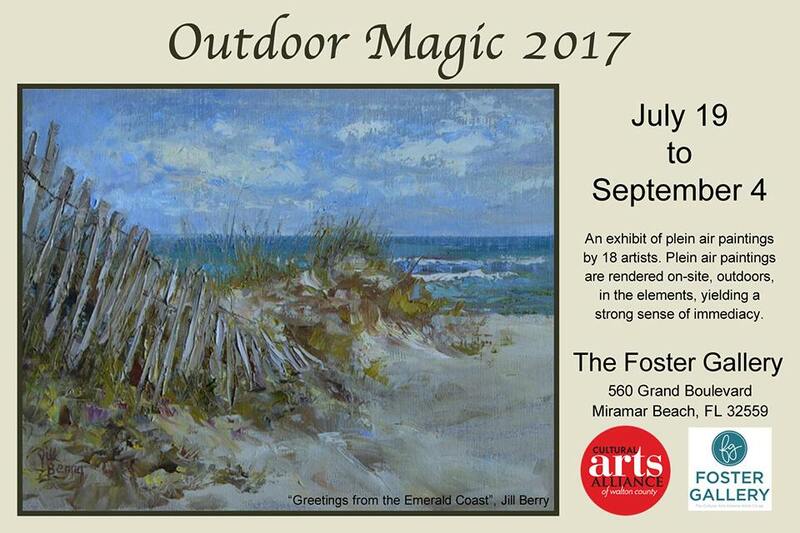 Outdoor Magic, an exhibit of plein air paintings on display at the Foster Gallery in Sandestin FL. Opening nights are fun, meeting new people of the artistic persuasion. 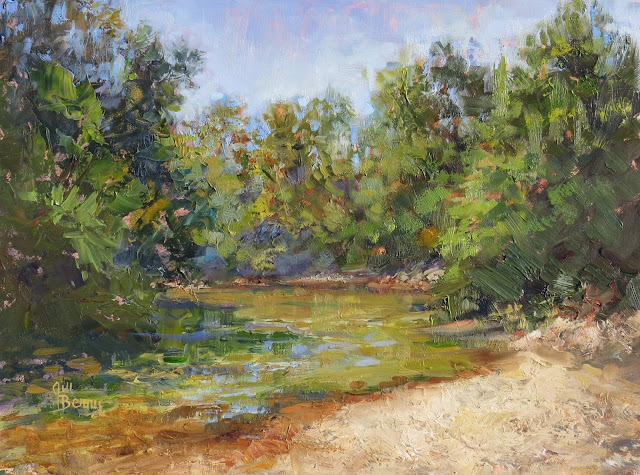 Juror of the show, Melody Bogle comments on her top picks. The lovely Foster Gallery is located in the Grand Boulevard, Sandestin Town Center. Stop by if you're near. The show runs through Sept. 4, 2017. 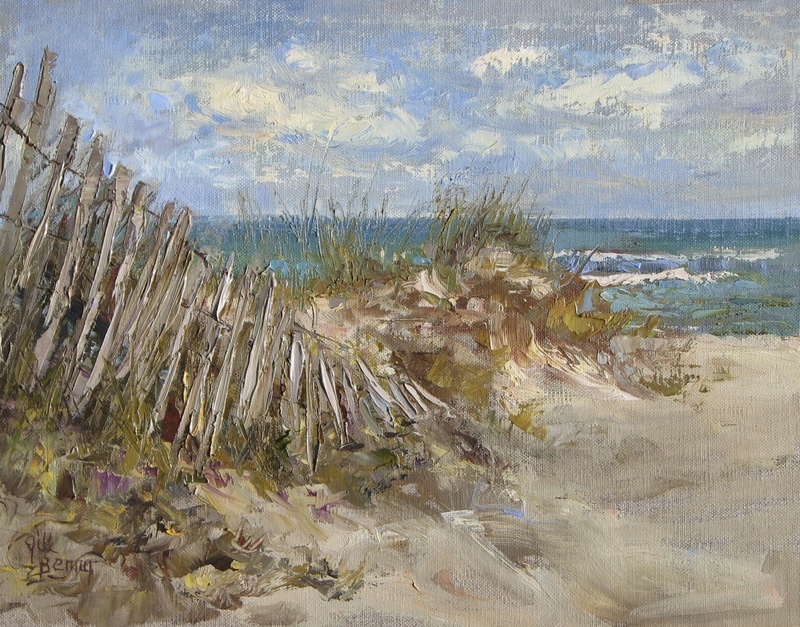 I'm glad I selected a seascape for this beach area, as it was chosen to promote the show. On location at Coldwater Creek, FL. 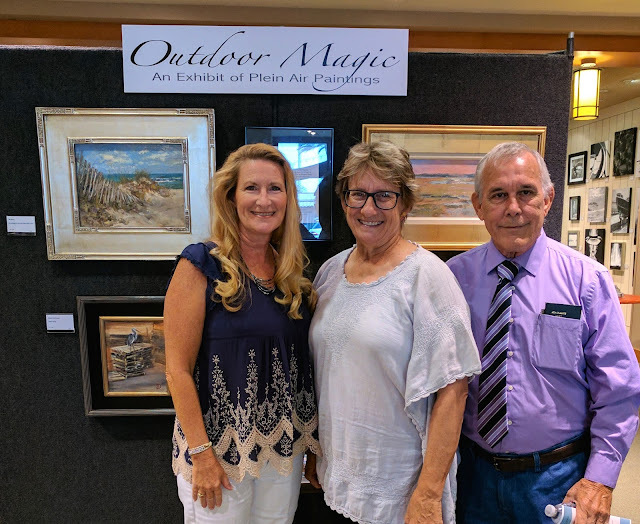 This was my first time hanging with the Emerald Coast Plein Air Group, except these two- Joan Vienot and Ed Nickerson. 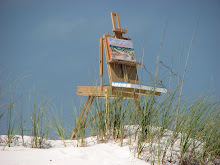 We were all Florida's Finest plein air Ambassadors! ... But that is a story for another day. 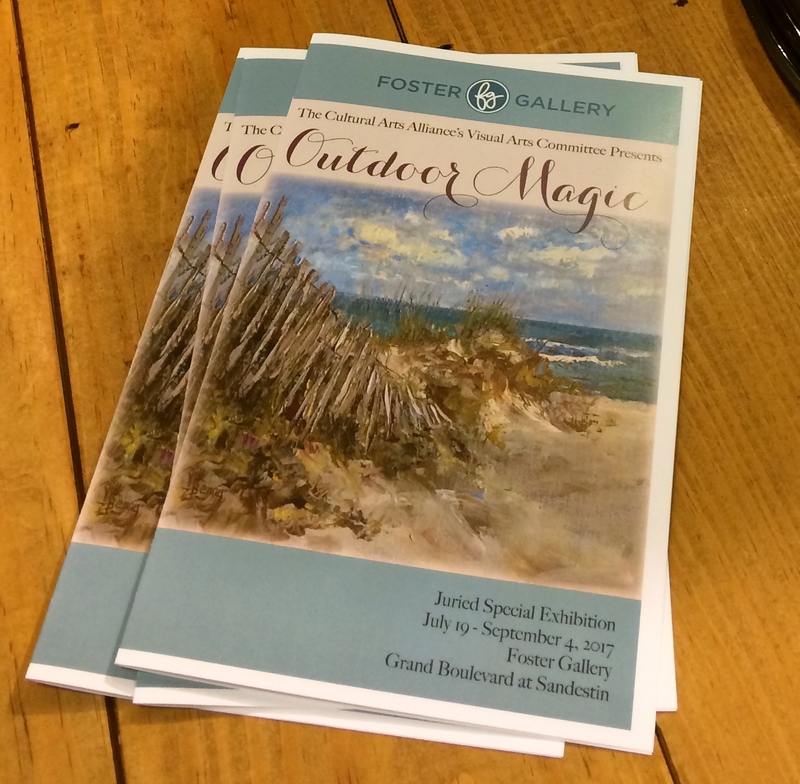 Thanks to Joan and the Cultural Arts Alliance of Walton County for hosting this show. Click my page link for more on this affiliation. These days I'd rather paint than blog about it. Blogging has been a great platform to share, and meet artists from all over. Wonderful souls like you. The clock just seems to be ticking so fast.... I've so many paintings to finish. Beautiful work! It's been a while but it's nice to catch up and see your amazing work! I was looking through some of my old posts on my blog and saw some lovely comments from you, so nice that you took the time to comment and be encouraging. Joan, so nice to hear from you and reflect on those times of encouraging one another. I checked out your new website! It's great to see the variety... from plein air to large studio work. Cheers to a New Year filled with creative inspiration.